Most of you have likely heard of ‘chicken-beer’ combo, but have any of you heard of ‘book-beer’ combo? Customers can now order beer and munchies at bookstores! Independent bookstores have launched a new strategy that is surely to attract customers. During the day, customers purchase books at the stores just like other bookstores, but in the evening, customers may also order beer and munchies to go along with those books. There are even seats where customers discuss various books with other readers. This new trend is catching on fast. It is both unique and interesting, and is drawing in an increasing number of customers with its special ambiance. Why don’t you take a closer look at what has brought about the bookstores’ popularity and what effect the new strategy will have? Independent bookstores had been disappearing constantly since the late 1990s. According to the Seoul Metropolitan Government, of the 11,400 local bookstores in Seoul in 1996, only 380 remained by 2009. 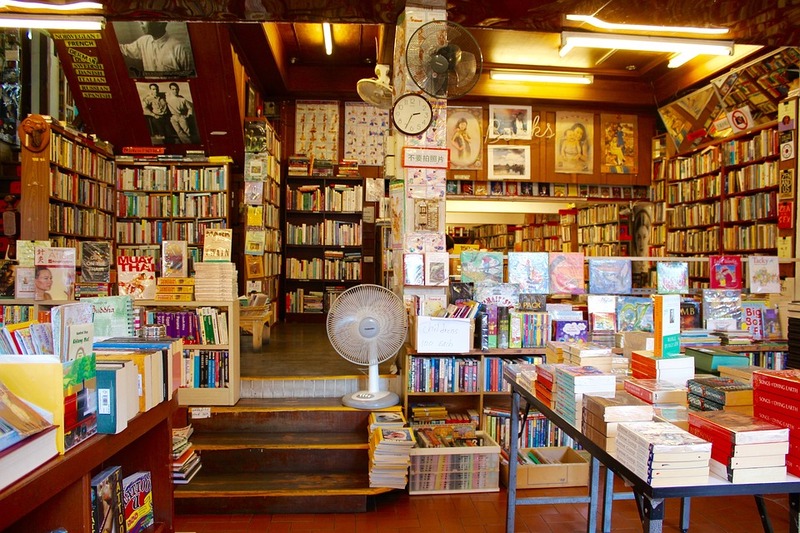 Younger consumers frequented the independent bookstores less and less often after the recession of 1997, opting instead to use internet bookstores and visit the larger scale bookstores. According to Korean Publishing Records, online book sales accounted for 15.9% of the entire market in 2004 and 31.9% in 2008. In particular,most of the sales were occupied by Kyobo Bookstore at 17.3%. Independent bookstores were pushed out of business because they could not compete. The disappearing trend continued until 2010 when the independent bookstore ‘Your Mind’, located in Hongdae, opened. It was a breath of freshness for the smaller bookstores with its distinctiveness. They started to focus on a particular theme like travelling, photography, detective novels, poetry, or music. Owners even looked for freelance writer works or centered the store on topics of personal interest. The bookstores had found a way to communicate with customers more closely and deeply. Today’s independent bookstores are not only for the sale of books, but for space to start new strategy. Recently, independent bookstores have begun goods marketing, which typically had been the practice of large or online bookstores. Aladin, an online bookstore, began creating goods by collaborating with publishers and writers in 2010. The tactic was so successful. Last year, Aladin ranked second in sales for the year among online bookstores.1) The goods contribute to customer involvement and loyalty. Learning from the strategy, independent bookstores have adopted ‘goods marketing’. The independent bookstore ‘After Books’, located in Sinchon, designs and sells goods along with its books. Hwang Namhee, Representative for ‘After Books’, said, “We have used the versatility of goods. The biggest advantage is collaboration with authors to produce goods for sale that reflect the authors’ works and that are loved by readers.”2) Customers unknowingly promote the independent bookstore through the items they have purchased. As a result, they have become popular SNS topics, and there are about 21,000 posts on Instagram hashtagged with ‘independent bookstore’ basis September 6th. What Attracts People to ‘Independent Bookstores’? People are attracted by independent bookstores’ unique themes and events. 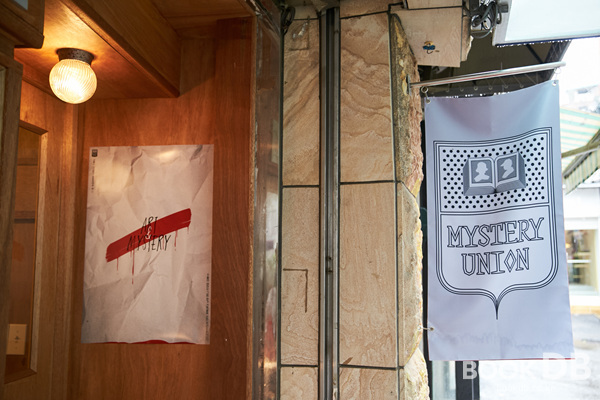 For example, ‘Mystery Union’, located near Sinchon, specializes in mystery novels from around the world. Every month, it hosts an open reading session to share one of the novels with interested listeners and every Friday night, the shop invites a writer or critic to give a special lecture with the theme of mystery. ‘Cat Bookstore: Schrodinger’, located in Jongno, at first glance looks like a shop for cat products because of its window display. According to the Ministry of Agriculture, Food and Rural Affairs, the number of cat owners has increased from 1.7% in 2010 to 5.2% in 2015. In other words, cat lovers are on the rise. At ‘Cat Bookstore: Schrodinger’, cat owners meet and exchange information on their pet cats. 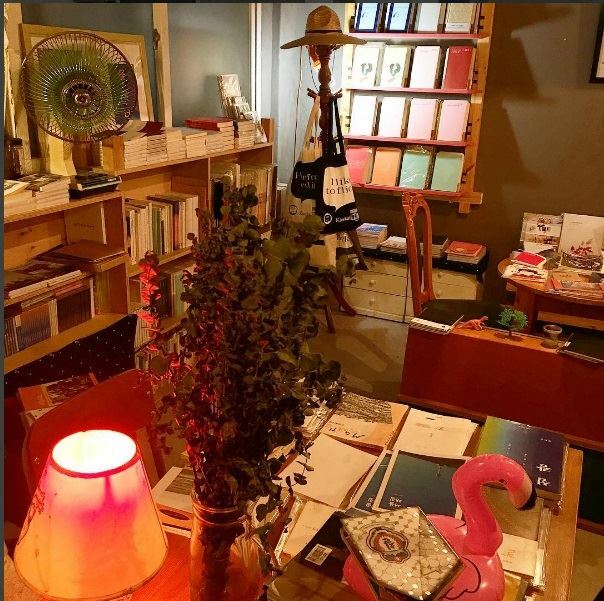 ‘Again Bookstore’, located in Itaewon, has two completely different moods. During the daytime, the bookstore sells poetry, but in the evening, it operates like a bar. As these bookstores show, customers are attracted to a bookstore that best serves their interest. Kim Jonghyun, Representative of ‘After Work, a Cup of Book’, said, “At independent bookstores, consumers not only read books, but they get the chance to enjoy the atmosphere of the place. Some shops show films, others host readings, and still others have discussions, all of which consumers of today are attracted to.”3) People visit the bookstores not only to read books, but also to share with others common interests. Independent bookstores sell books and other publications by writers who are not affiliated with a publishing company. Because the works are independently circulated by the authors themselves, they are not classified as official publications, so it would be almost impossible to find them at larger bookstores. Ha Bakguk, a regular patron at the independent store ‘Your Mind’ went to the bookstore to check for books on ‘Exploring Korean Tower’ because those books give him a foreign view of Korean tall buildings. As the book is a limited edition and only available at ‘Your Mind’, he went there to purchase it.4) To sum up, the greatest distinction between independent bookstores and large or online bookstores is independent print. Even if a customer wishes to obtain a copy of an independently published book, it would be hard to find at larger bookstores because it would not be in stock. Independent bookstores are able to sell and display autonomously printed books. Consequently, people looking for a certain topic or specialty, regardless of publisher or selling power, will find it at an independent bookstore. Finding unexpected, but wanted books might be a great experience. Independent bookstores have established a new business craze. According to the Ministry of Culture, Sports and Tourism, 173 new independent bookstores have recently been launched. In addition, according to the National Assembly Budget Office, the total number of self-employed business people in their thirties has risen to 10,000. In other words, people are founding businesses based on the bookstore theme. Kim Yejin, founder of Good Life said, “I quit my job to work for myself. I wanted to carve out my own career. I wanted to read books and share with others, so I opened a bookstore. I am happy to meet and share my interest with others who have similar interests.”5) People are tired of working for others and they want to establish own business. For those that like reading, opening a bookstore is very attractive. The government has promised to support regional independent bookstores in order to enhance local bookstore competitiveness. The Seoul Government, for instance, vows to continue supporting local independent bookstores with management assistance, funds and consultation. With the craze for unique independent bookstores not likely to stop for quite some time and assistance from government, the number of independent bookstore owners will surely increase. Besides increased interest in bookstore ownership, people have started to show more interest in independent publications. From Hongik University Station Exit 4 to Wow Bridge, on the Gyeongui Line, train riders can find Book Street, a small unique street lined with bookstores. There independent publishers can meet up with devoted readers easily. In 2009, ‘Your Mind’ hosted the first art book fair called ‘Unlimited Edition’. 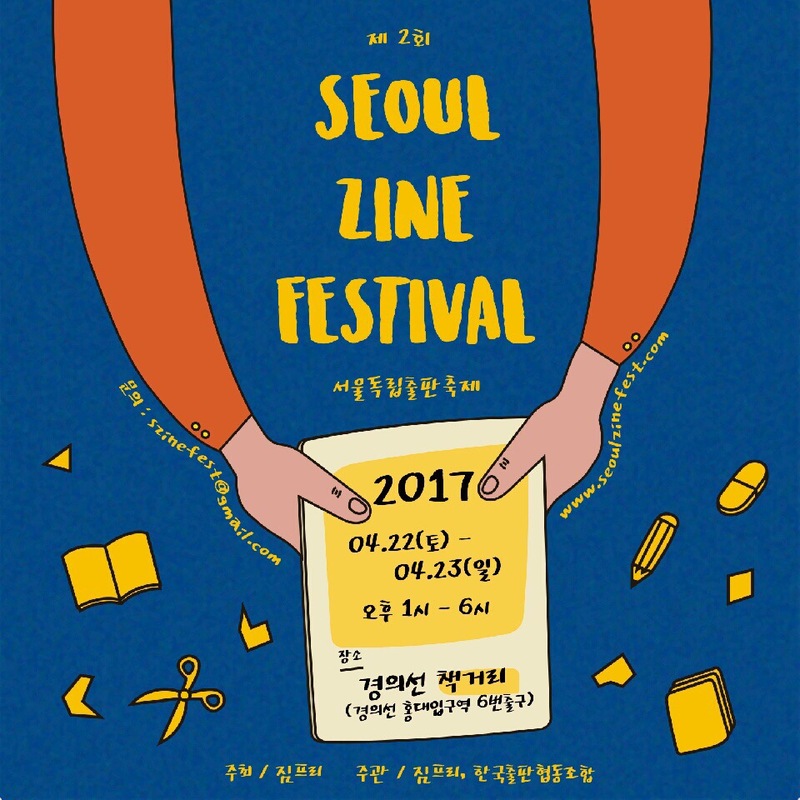 The fair had over 13 000 participants and its success lead to the Seoul Independent Publication Festival in 2015 also held at Your Mind. At the festival, participants had the chance to be introduced to independent authors from both Korea and overseas. Also, at the ‘Seoul International Book Fair’ held annually at COEX, a special booth was added to the venue to promote independent bookstores. To meet reader interest, 20 independent bookstore owners took part. Yoon Cheulho, President of Korean Publication Association and host of the event, stated that “This year, organizers invited independent bookstores under the slogan ‘transformation’ to promote local independent bookstores and activate reading culture.”6) As the number of festivals, independent authors, and readers increase, the number of independent bookstores and patrons to those bookstores will increase. It is expected that there will be more collaboration between young artists and independent bookstores involving goods and events such as music festivals and photography exhibitions. Currently, there has been an increasing number of young artists gathering in Yeonnam-dong. With them, synergy effect is expected. With the rise in independent bookstore popularity on SNS sites, despite their size, they are growing in power. Compared to large bookstores, patrons find books of specific appeal and enjoy the setting and atmosphere of the smaller bookstores. Plenty of you will likely be suffering from a hectic study and job preparation schedule. However, some much needed rest awaits you at an independent bookstore. They offer all others the chance to read for pleasure and meet others who have similar interests. This reporter recommends visiting an independent bookstore and spending time there.